At CapeRay we have embraced the Apple design philosophy and use their products whenever appropriate. For example, our central control system for our dual-modality Aceso system runs on a Mac Mini, while the user interface is the iPad (see photo at right). Despite the iPad Air boasting some impressive specifications – its 9.7-inch retina display has 2048 x 1536 resolution at 264 pixels per inch – it is important to emphasize that the device is not used to make a diagnosis. It is instead used by the radiographer to decide if she has captured a satisfactory image, before proceeding to acquire a further set of images for a different view. 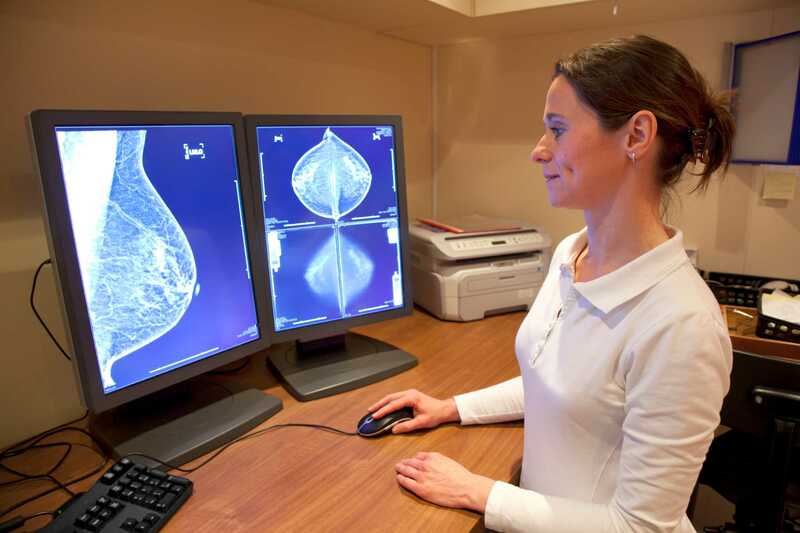 In order to make a proper diagnosis, the radiologist is required to view mammograms on a monitor that has: a very high resolution (2048 x 2560 pixels = 5 megapixels); a screen size of at least 21.5” (55 cm); and at least 1024 gray scale levels. However, a medical diagnostic display with these specifications can cost $14,000 and up. This naturally begs the question: Could radiologists perform as well using a much less expensive computer monitor with lower resolution? 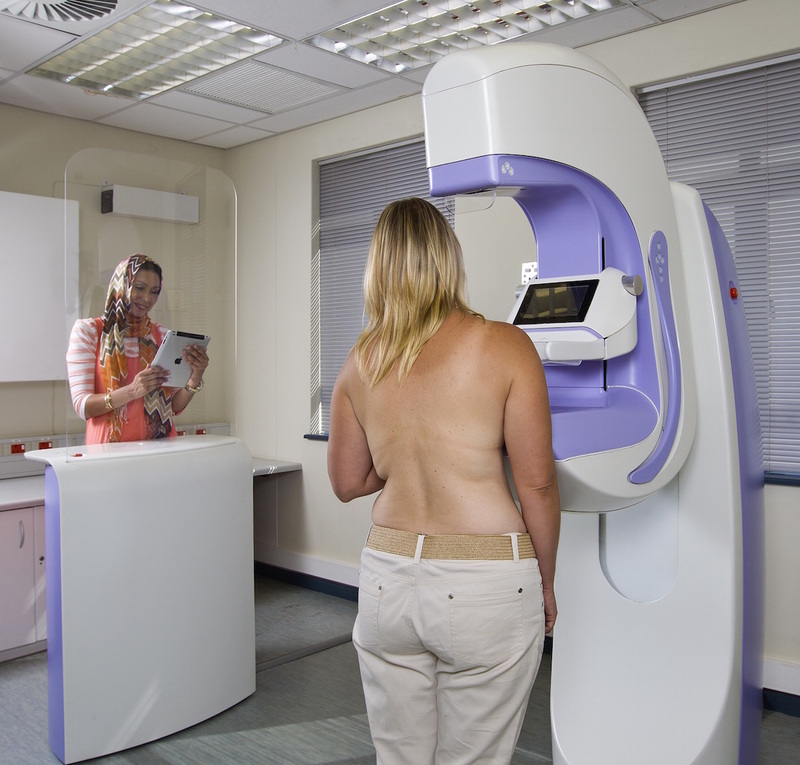 A group of researchers from the UK set out to answer the question and earlier this month published a paper in European Radiology entitled “The use of lower resolution viewing devices for mammographic interpretation” with the subtitle “Implications for education and training.” They assembled a set of 40 challenging mammography screening cases (22 malignant and 18 normal) and over an eight-month period the cases were read by 9 consulting radiologists and 5 radiographers who had specialized in mammographic reporting. Three different viewing platforms were employed: a pair of 5 megapixel dual monitors; a standard LCD monitor (1050 x 1680 pixels); and an iPhone 3 (screen size 3.5” and 480 x 320 pixels). Although performance was significantly better when the high-end monitors were used, after image manipulation software was applied to the images by the readers, their performance on the standard LCD monitor was no different. One participant correctly identified all the small microcalcification clusters on the iPhone, although on average the performance with this low-resolution device was significantly worse than the other two viewing platforms.